Brands can identify owners of individual cattle, but cannot identify cattle individually with the degree of precision needed for quick traceback, in the event of a high-consequence disease. Doing so requires assigning a unique ID to individual cattle — identifiers that can ultimately be retired from the database when those cattle die. Producers and animal health officials take another crack at a standardized national cattle ID system. Cattle identification is easy. Depending on the objective and need for permanence and convenience, apply a brand, tattoo or ear tag. Notch a brisket or ear. Slap on a back tag or run a paint stick across the hip. Though more labor-intensive, following the movement and management of individual cattle that are uniquely identified is just as straightforward, as long as it’s on the ranch or within a system of mutual agreement. Related: Are you ready for another fight over animal ID? Developing a national standardized system, though, one capable of tracing cattle back to current and previous locations of residence within 48 hours — to track and manage animal disease — has proven to be only slightly harder than hobbling a tornado. The industry embarked on the journey almost two decades ago, working with state and federal governments, as well as tribal nations. In fact, so many years and discussions passed, and so many federal efforts shifted over time, that it’s easy to forget the mandatory foundation for such a system — the Animal Disease Traceability (ADT) program — became law in 2013. Related: What’s the industry vibe on electronic animal ID? Unless otherwise exempted, ADT requires that livestock moved interstate be officially identified and accompanied by an interstate certificate of veterinary inspection (ICVI) or other documentation. For beef cattle, the rule only applies to those 18 months of age or older. So, feeder and fed cattle remain exempt. Some describe ADT as a bookend system by which animal health officials can track animals forward from where they received the official identification tag, and back from the animal’s last location. That’s less comprehensive than the birth-forward model originally crafted. Now, a growing segment of the industry appears willing to renew efforts to accomplish the task of implementing a more robust system, one more akin to what was envisioned originally. At least that was the sense coming away from the annual conference of the National Institute for Animal Agriculture (NIAA) in April, which focused on ID and traceability. Consider also last year’s formation of the Cattle Traceability Working Group (CTWG). It’s unaffiliated and not beholden to any organization, though it comprises cattle producers and thought leaders who belong to many of the organizations that have been part of the ID discussion since the beginning. USDA’s Animal Health Information Center published its assessment of ADT in April 2017. 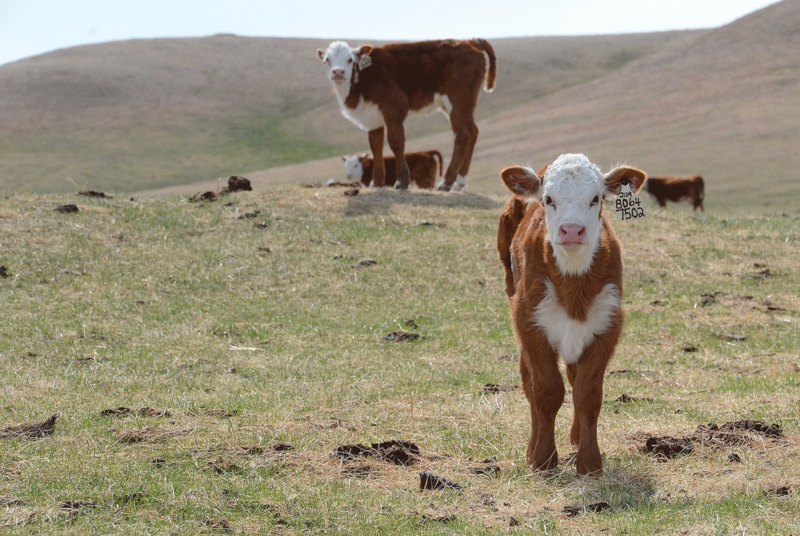 This April, the State-Federal Animal Disease Traceability Working Group (ADTWG) released recommendations based on the assessment. Radio frequency identification (RFID) is widely used in many industries to track products. Some in the beef business use it, too, as a means to identify, track and manage individual cattle. Debate continues about which specific RFID technology might be capable of keeping up with the speed of commerce — defined by some as the speed of a livestock auction — within a standardized national animal identification system for the purpose of disease management. At the same meeting, Greg Ibach, USDA undersecretary of agriculture for marketing and regulatory programs, referenced principles in the current farm bill aimed at enhancing protection of the U.S. food supply. He emphasized that traceability is the critical component of identifying, tracking and managing animal disease, as well as mitigating the impacts of high-consequence diseases. All of that is before considering the feasibility study of U.S. beef cattle identification and traceability systems conducted by the National Cattlemen’s Beef Association in 2017; results were published at the beginning of this year. Such a system is part of that organization’s long-range plan. In order to consider where the industry may head with cattle ID and traceability, it pays to consider how it got to ADT and why it took so long. When industry-government discussions about developing a standardized animal identification and traceability system began in 2002, concerns about foreign animal diseases, such as foot-and-mouth disease and bovine spongiform encephalopathy, were front of mind, with Europe battling both. At the same time, fewer cattle in the U.S. were being officially identified as part of federal disease and eradication programs, such as those for bovine brucellosis and tuberculosis, because of the success of those programs. Keep in mind that beyond disease surveillance, industry discussions about the value of individual cattle management, made possible with individual identification and tracking, were just hitting their stride. Many companies were introducing producers to electronic ear tags and readers to collect various data and software programs to sift the information. NIAA established the Food Animal Identification Task Force in April 2002, according to Neil Hammerschmidt, former USDA traceability program manager, speaking at the recent NIAA conference. By that summer, the task force developed a work plan, which it presented to the U.S. Animal Health Association several months later. USAHA comprises state animal health officials from across the U.S. That organization voted to unanimously accept the work plan as the basis for implementing a national program. By spring 2003, USDA formalized a national working group to flesh out the details — some 100 individuals representing about 70 organizations. Ultimately, the effort was known as the U.S. Animal Identification Plan (USAIP). Hammerschmidt pointed out USAIP development was well underway when the first case of BSE was confirmed in the U.S. in December 2003. Soon after, when the USDA secretary said USDA would expedite implementation of a national animal identification and traceability, such a reality seemed assured. There were legitimate concerns, such as the trade-offs between a mandatory or voluntary system, the associated producer costs and liabilities; who would hold the data and who would have access to it; and whether any of it was practical at the speed of commerce. There were also lots of politics involved, as some private companies and organizations lobbied to get their piece of the ID pie. In 2004, Hammerschmidt explained, USDA accepted most of the USAIP recommendations and rebranded the effort as the National Animal Identification System (NAIS). That plan called for making premises registration mandatory by January 2008, and mandatory reporting of official movement a year later. By 2009, though, NAIS was struggling. Legitimate producer concerns continued. Official premises registration was plodding along. A new USDA secretary established listening sessions across the nation, in order to define public and industry concerns. “He made it clear we weren’t going to walk away from traceability. We wanted to solve it,” Hammerschmidt said. Along with ongoing legitimate concerns, those listening sessions yielded plenty of fearmongering and conspiracy theories, from a minority of producers and the public at large. The next year, NAIS was terminated in favor of a new approach, which became the current ADT. “Even some of those who supported NAIS gave up on trying to follow what direction we were going with the program from one period of the year to another,” Hammerschmidt said. In the case of beef cattle, rather than aiming to identify all of them, the focus shifted to a subset: cattle 18 months of age and older being moved interstate. Rather than identify the birth premises, the new program opted for identification of where the animal was tagged with official identification. The minimum initial recommendation of electronic tags for official identification morphed into low-cost, hard-to-read metal clip tags (brite tags) in ADT. While the initial USAIP vision may have alienated or scared some — with its focus on electronically identifying all cattle leaving the farm — the compromises resulting in ADT left major gaps in achieving effective 48-hour traceback. For one, ADT is not what many would consider a true bookend system, in that recording the animal’s place of birth is not required. For another, if and when the day comes that feeder cattle are included, few would argue that there’s a way to make tracking practical with anything other than electronic identification. For the record, the ADTWG recommendations recognize the need to include cattle younger than 18 months of age, but also emphasize the need to address the unique needs separately. So, in some ways, the industry finds itself back where it began with ID and traceability: no standardized national system capable of 48-hour traceback to the birth premises, and many of the original concerns still in search of consensus. The stark difference almost 20 years down the road is that the circle became a spiral. The industry is embarking on this next phase at a higher, more advanced level, thanks to the immeasurable efforts of so many. Editor’s note: Future articles in this exclusive BEEF series will explore the needs and myths surrounding a standardized national animal identification and traceability program for beef cattle, growing support for electronic identification and the practicality of current technologies, as well as what some individuals and organizations are already doing.